Shopify was launched in the year 2006, in an effort to make commerce better. It is essentially a user friendly platform, which powers tens of thousands of online retailers around the world. Shopify comes with all the necessary features, which can take away the technical hassles of developing and running an online store. It can be used by retailers to manage every single aspect of their stores such as: uploading the products, customizing designs, accepting credit cards, viewing incoming orders, completed transactions etc. Includes a complete blogging platform to help you be in touch with your customers. Having a commendable experience of more than 6 years with online shopping cart development platforms such as Xcart, Magento etc, the developers at MercuryMinds are well versed in the field of shopping cart development. This makes us capable enough to use the Shopify platform for the advantage of our customers and provide custom Shopify development services for your business requirements. Complete Shopify installation, setup and configuration. Free integration with your Shopify store and related services. Free Shopify support from our technology team. Integration with platforms like eBay and Amazon. Product merchandising and marketplace management. Complete creative & technical support. Shopify product upload and import. Order processing and inventory management. Complete design and customization using Shopify. HTML/ PSD to Shopify theme conversion. 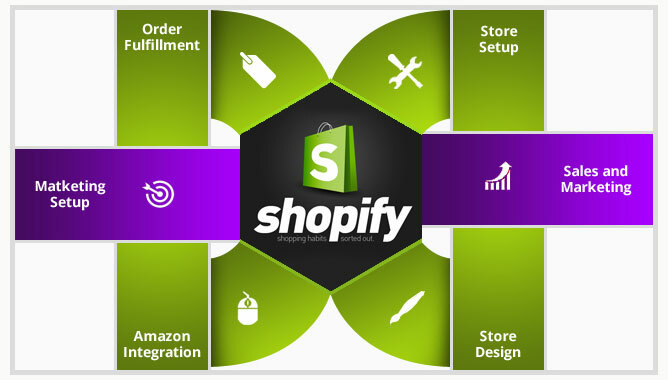 Our high quality, cost-effective and on time solutions for Shopify development are sure to satisfy our clients to the core. Our Shopify developers are so well versed in the aspect that, the final result will always be good ROI. Our Shopify development solutions can be availed by clients from all industries such as finance, insurance, travel, hotel, healthcare, manufacturing, shipping, e-learning, real estate, retail etc.